An offer in compromise is an agreement between a taxpayer and the IRS that settles a tax debt for a fraction of what is owed. 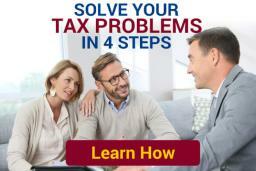 It offers taxpayers a path toward putting their tax problems behind them, and getting a fresh start. This is what national tax resolution scam companies are referring to when they say they can get you a settlement for pennies on the dollar. But the fact is that less than 40% of offers in compromise are accepted by the IRS. Only tax payers in very specific situations qualify, and every requirement must be answered correctly. A good, experienced tax attorney should be able to advise whether or not it is worthwhile going to the expense and time of filing an offer in compromise. Representation by a good tax attorney also greatly increases your chances of the IRS accepting your offer in compromise. Doubt as to Collectability Offer in Compromise: The IRS determines realistically how much a tax payer would be able to pay based on assets, current income and living expenses, and future earnings. Doubt as to Liability Offer in Compromise: The IRS gives taxpayers who have a legitimate doubt that they owe all or part of a tax debt an opportunity to settle. Doubt as to liability offers are not available to taxpayers who have already litigated their tax debt in court and lost. Effective Tax Administration Offer in Compromise: These offers are appropriate for taxpayers who owe an undisputed debt and face exceptional circumstances other than their financial ability to pay. The IRS will consider all facts and circumstances in determining a settlement they will accept. Determining an offer amount depends on the facts and circumstances of each individual case, as well as the type of offer being submitted. Some people qualify for settlement of pennies on the dollar, whereas others might need to pay a substantial portion of their tax debt. At Ayar Law, unlike many of the nationwide tax resolution firms you might see advertise on television, we will not take any money for an offer in compromise unless we know we will win. That is why the first step in every IRS tax settlement we do is a thorough analysis to determine what programs you qualify for. Our Detroit tax settlement attorneys have the negotiation skills necessary to get your offer accepted for the lowest amount possible. The entire process generally takes anywhere from six to eight months, during which time the IRS will not take any collection action against you. Either of these alternatives is effective in stopping the IRS from issuing a tax levy, and you might even be able to prevent a tax lien from being filed as well. 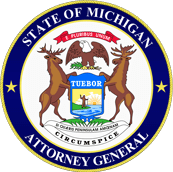 There is no settlement program for debts owed for Michigan taxes that is comparable to the IRS offer in compromise. Call Ayar Law for a free consultation and find out the best solution for you.